Looking for something fun to do with your Girl Scout Troop? The Women’s Basketball Hall of Fame offers a variety of programs for Girl Scouts from Badge and Three-Point Play programs to our Jump Jive and Jammies, an overnight stay at the Hall of Fame. 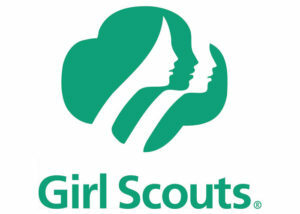 Call (865) 633-9000 to get more information on our Girl Scout Programming. 3-Point Play includes admission to the Women’s Basketball Hall of Fame, an hour and a half in our private party room, pizza, and tickets to a Lady Vols basketball game. $15.95 per person with a minimum of 10 participants. Badge workshops include pizza, drinks, programs, museum admission, and a Women’s Basketball Hall of Fame patch. $12.95 per person with a minimum of 10 participants. Call (865) 633-9000 for more information on our badge workshops.